Wild current Outfitters offer canoe trips on Jasper's most scenic lakes and Multi-Day rafting adventures on the mighty Snake Indian River. WildCurrent was born out of a passion for adventure and backcountry exploration. Brett Haug, Mike Lodge, Sean Buckle, and Travis Anderson met in Jasper, Alberta in the mid 90s through a shared loved of the outdoors. When the opportunity to create an outfitting company presented itself, these four friends didn’t have to think twice; this was a chance to bring other like-minded adventurers to Jasper’s backcountry to experience the best the Park has to offer. 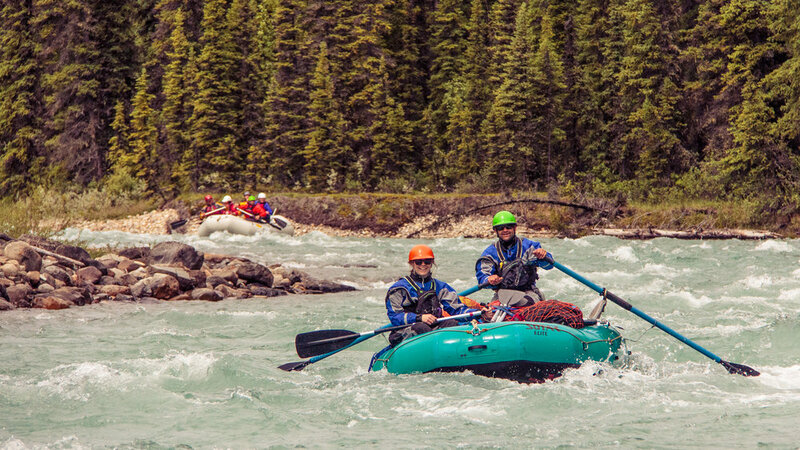 Wild Current’s goal is to share some of Jasper National Park’s most amazing places by offering memorable and safe backcountry experiences that combine historical and traditional means of travel and exploration. All trips are tailored to meet guests’ personal needs.